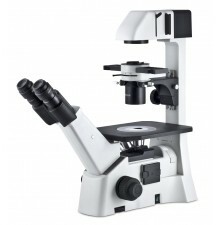 AE2000 Series is Motic´s new AE2000 Inverted Microscope is the ideal instrument for routine live cell inspection in both educational and high grade professional applications. 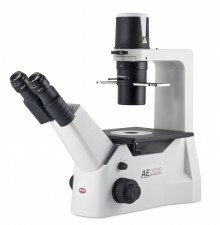 AE 30 Series is premium product series of Inverted Microscopes, Motic joined the group of manufacturers capable of providing High-End optics, ergonomic design and craftsmanship as well as durable product quality. Motic doing so, however, all at an affordable price point. The AE 30 Series quickly became the perfect solution for all kind of routine microbiological work in clinical and pharmaceutical laboratories as well as in demanding University teaching and research environments. The newly designed Binocular Ergo tubes with 360° swiveling “butterfly” design and optional telescopic feature offers the most comfortable observation position, especially useful for prolonged sample viewing. The auto on/off function of the power supply extends the lifespan of the sample and light bulb and at the same time saves energy. Another added feature, a modular interchangeable illumination concept, allows for the easy transition from Halogen to LED to fulfill a wide-range of customer viewing expectations. 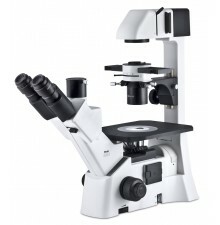 The improved phase contrast quality of the model makes the instrument suitable for a greater range of applications that demand precision optics. 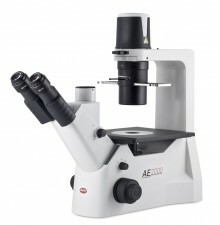 The AE30 is an inverted microscope for the routine realm, but offers upscale research functions, such as fluorescence and an externally mounted and centrable 30W/6V halogen Koehler illumination. Complementing the uniform illumination is the ELWD 0.30 N.A. condenser with its 72mm working distance for large sample and carriers, which can be adjusted and centered to provide the optimum amount of illumination for each sample. Furthermore, the condenser is equipped with a slider stop for the equipped standard centrable PH 1 and PH 3 Phase slider. An optional LWD 0.50 N.A. condenser [WD=28mm] is available should the need arise. Driven for applications, the AE30 incorporates the Colour Corrected Infinity Optical System [CCIS®] to power system expansions and to produce, along with the CCIS® Plan Achromat inverted objectives, crisp, flat and high contrast images in field flatness up to F.N.22. 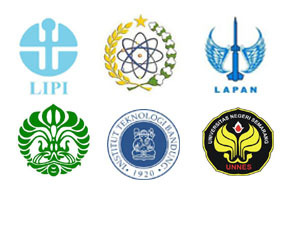 These images can be viewed for hours upon hours in fatigue free manner thanks to the comfortable 45° observation angle and viewing height of 380mm [400mm – trinocular], which is the ideal height from the laboratory tabletop to the users’ eyepieces. Assisting the angle is the Siedentopf system [50-70mm] for setting the correct interpupillary distance and the adjustable high eye point WF10X eyepiece, which can be adjusted ±5° for individual astigmatism and aligning reticules. 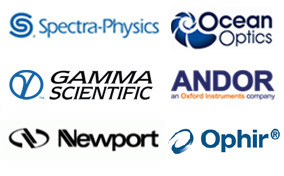 Supporting all these applications and functions is the AE30’s stable inverted “Y” designed stand. The inverted “Y” provides the necessary stability and weight distribution to handle the attachment of Epi-fluorescence and other accessories. The stand features low position focus mechanisms to alleviate wrist strain while adjusting the focus at 1mm minimum increments throughout the 10mm stroke range. The stage sits at a height of 207mm for rapid sample changes. A universal mechanical stage [tilted adjustment] is available as an option plus a series of Petri dish holders.